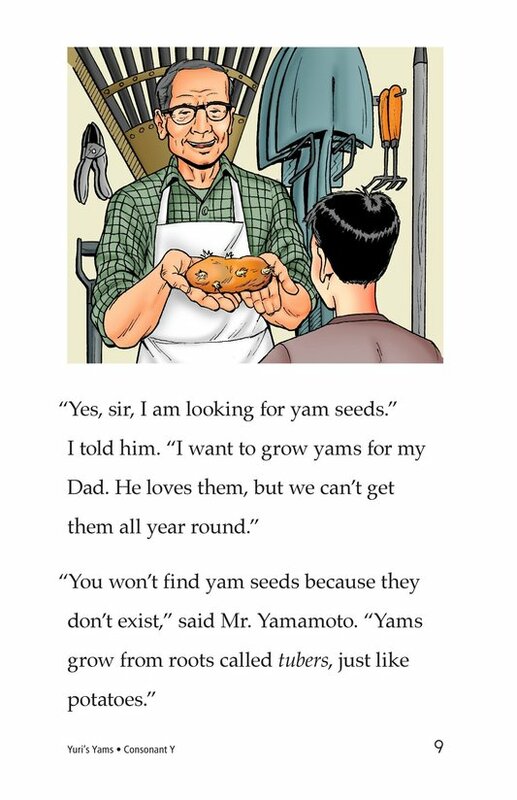 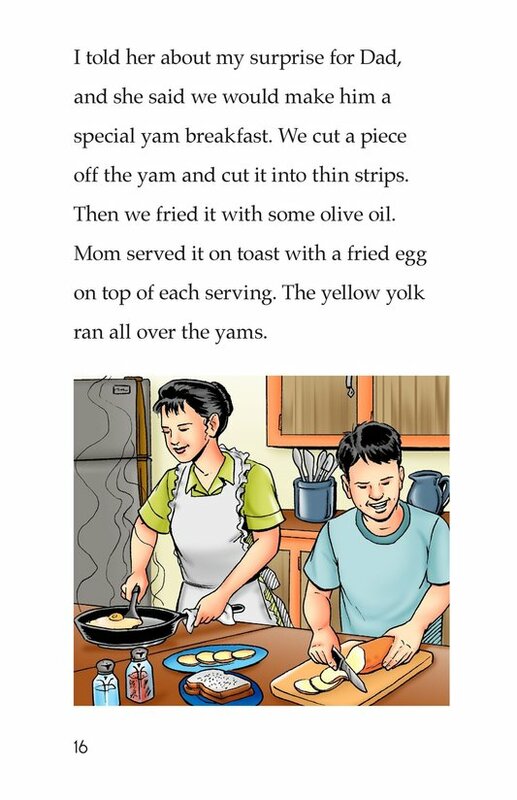 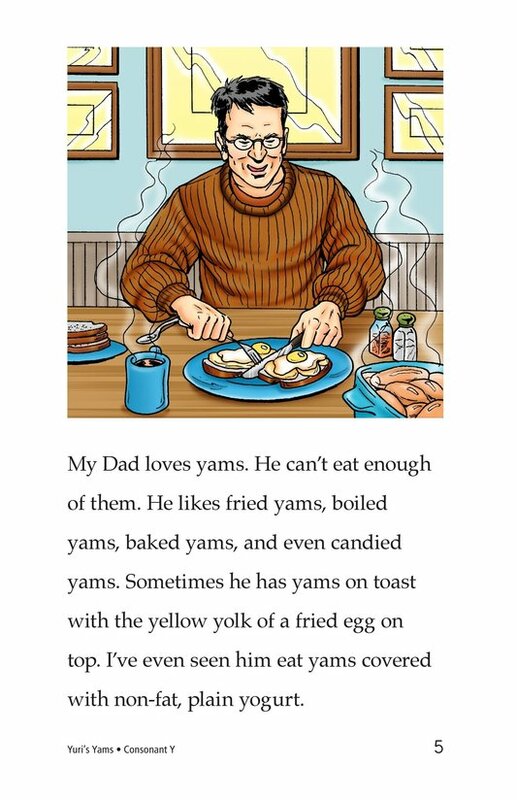 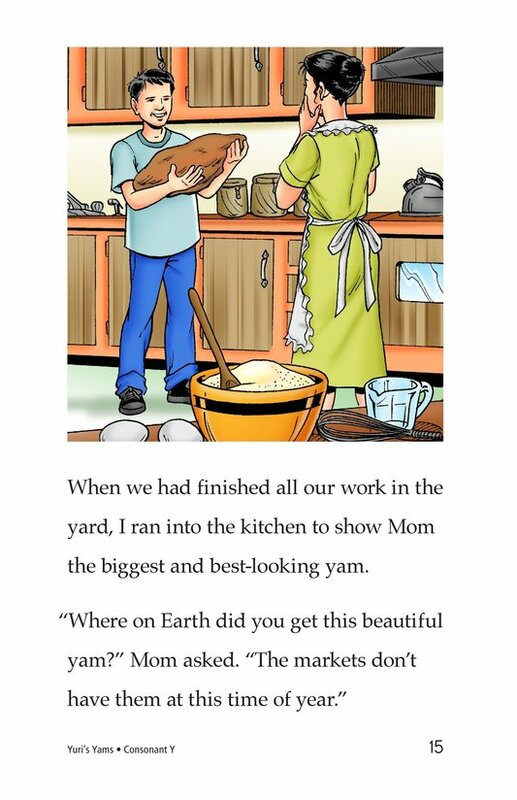 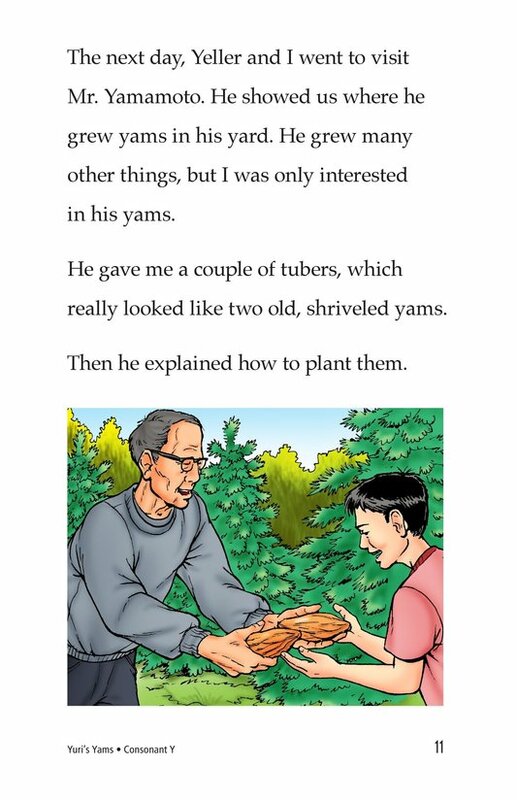 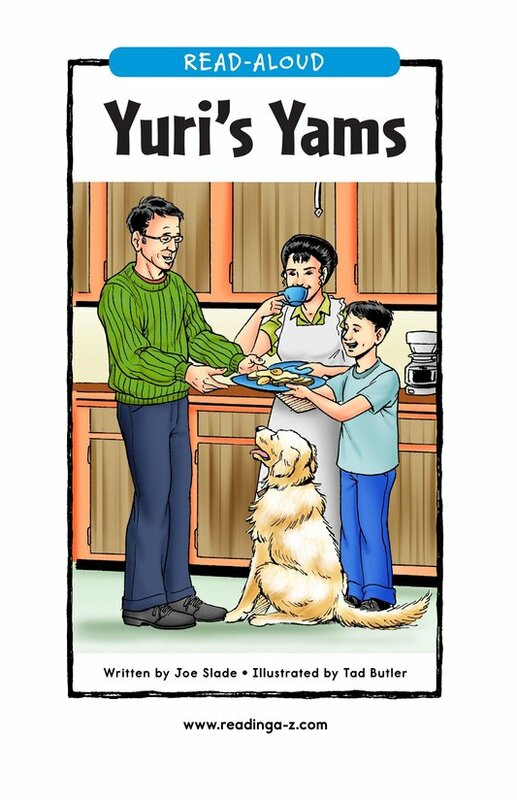 Yuri's dad loves yams, but he can only get them at certain times of the year. 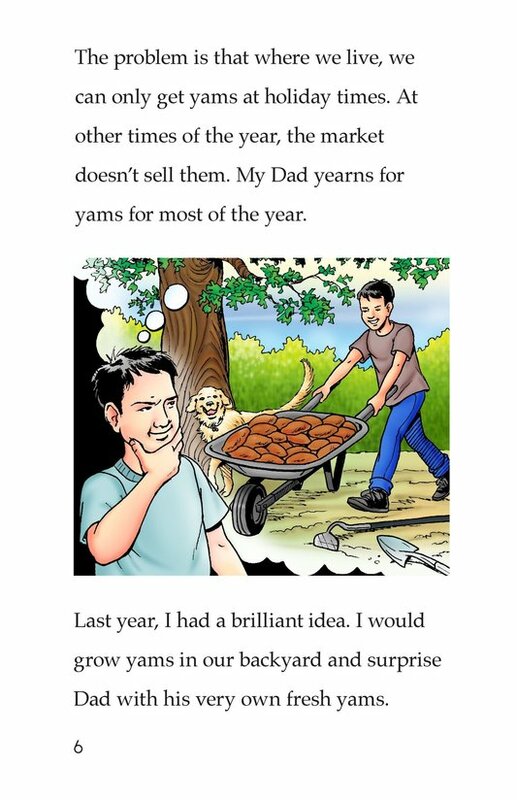 So Yuri plans to grow them in his yard and surprise his dad. 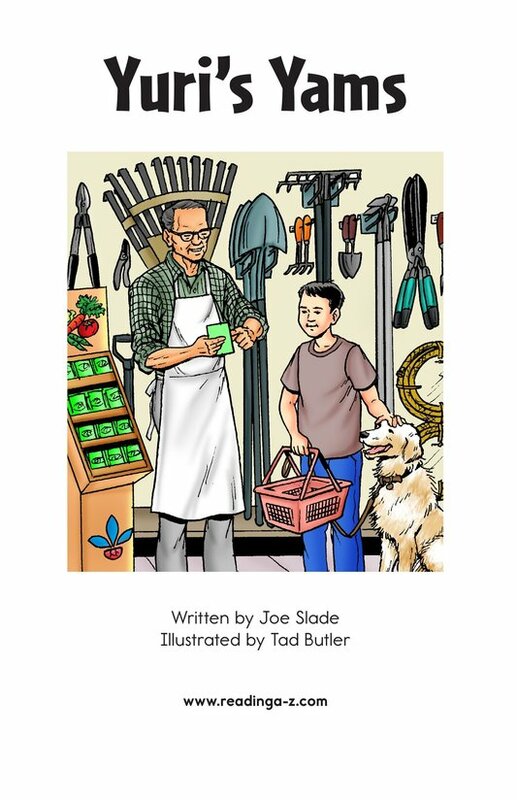 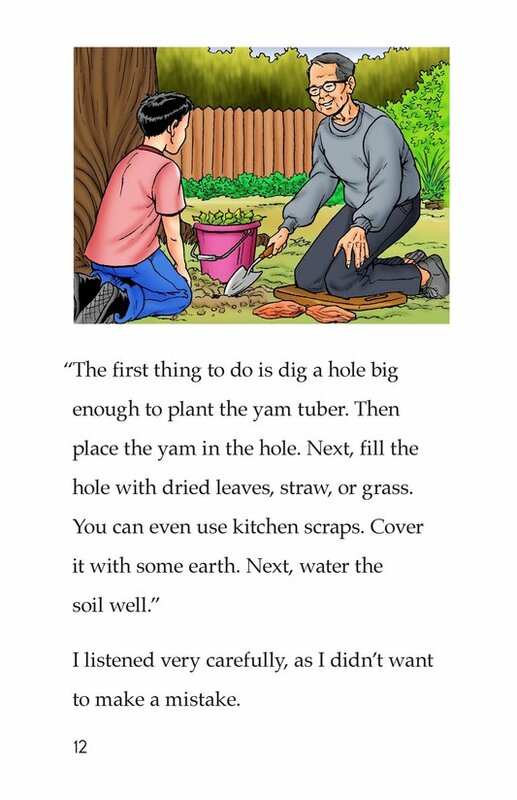 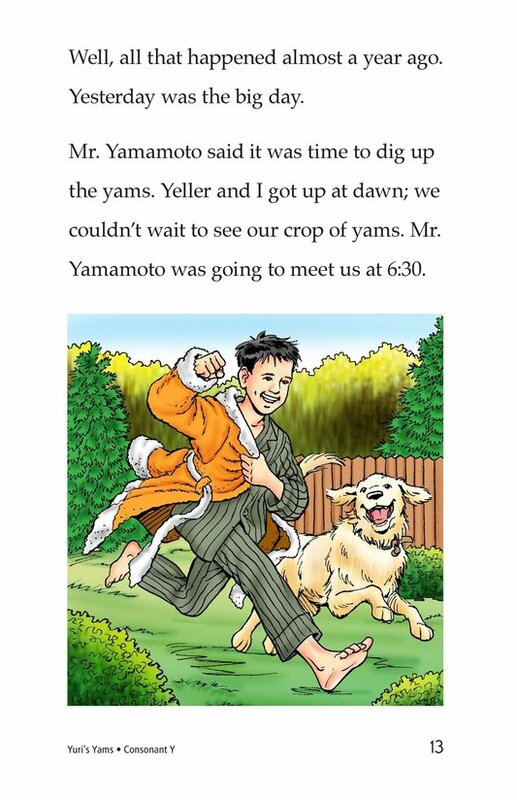 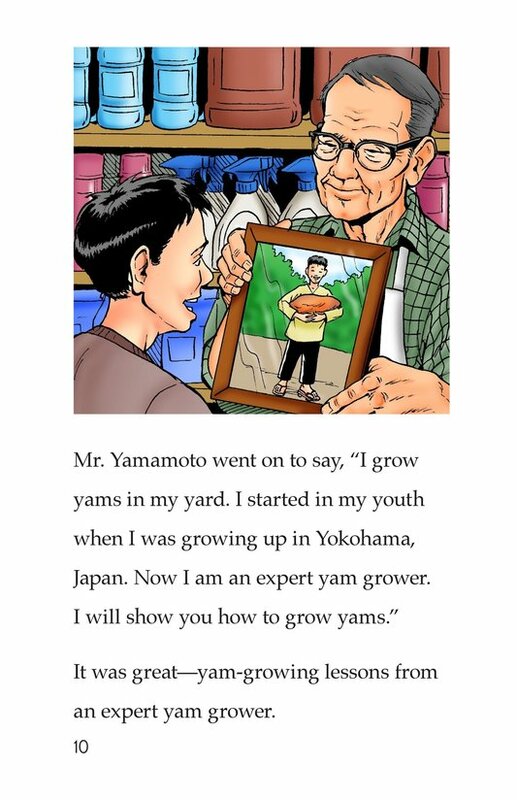 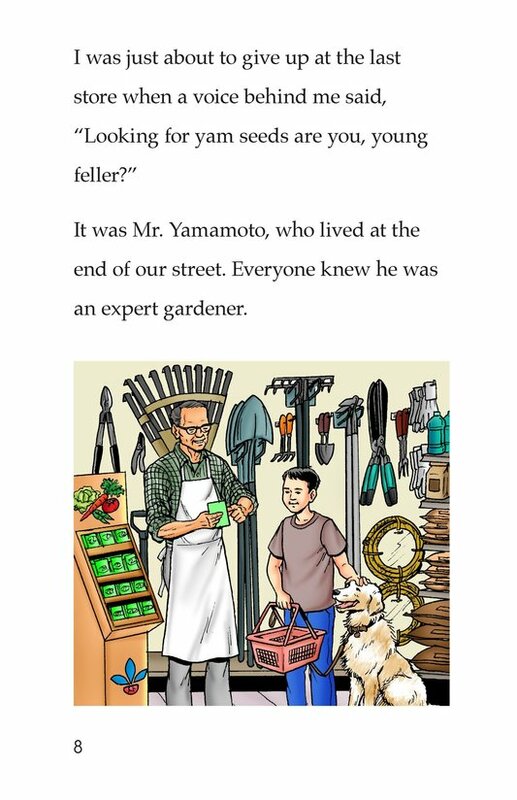 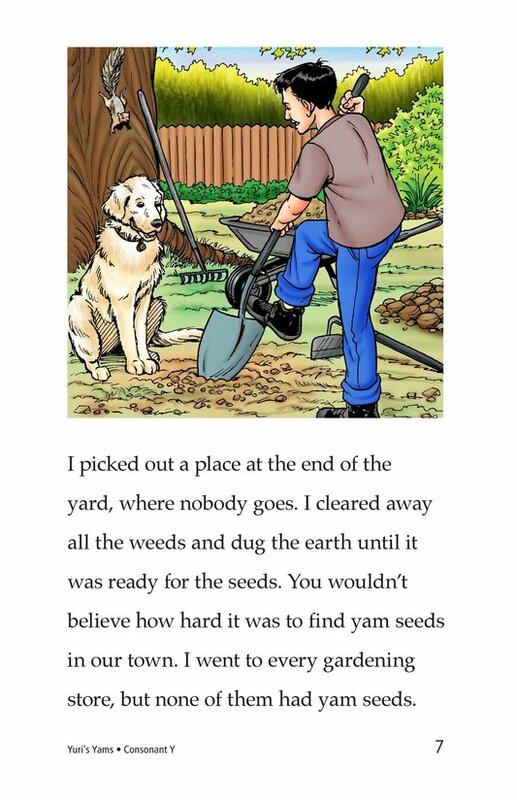 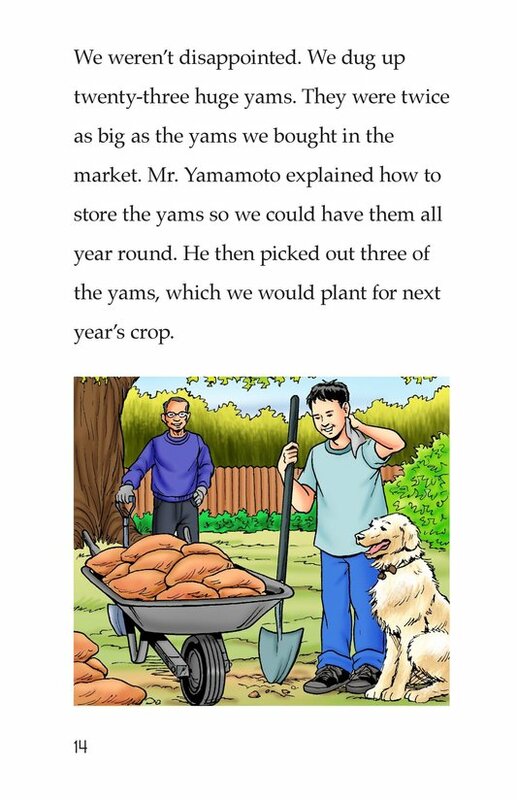 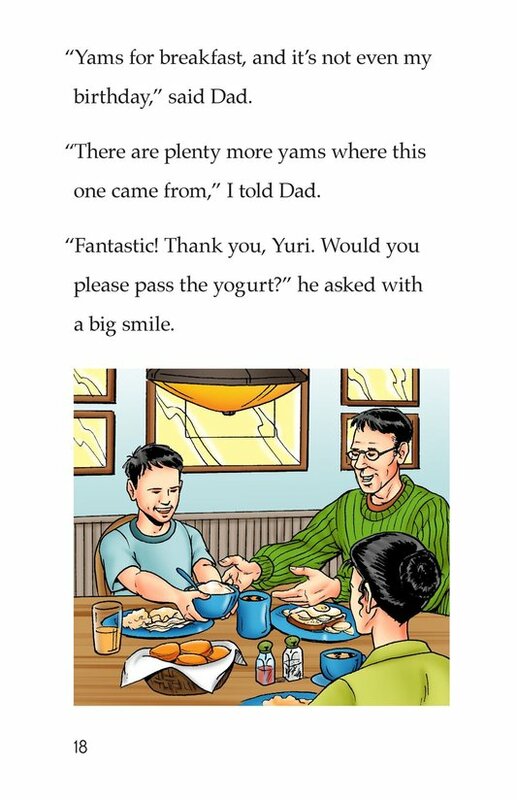 Mr. Yamamoto, Yuri's neighbor and a master gardener, helps Yuri with his special surprise. 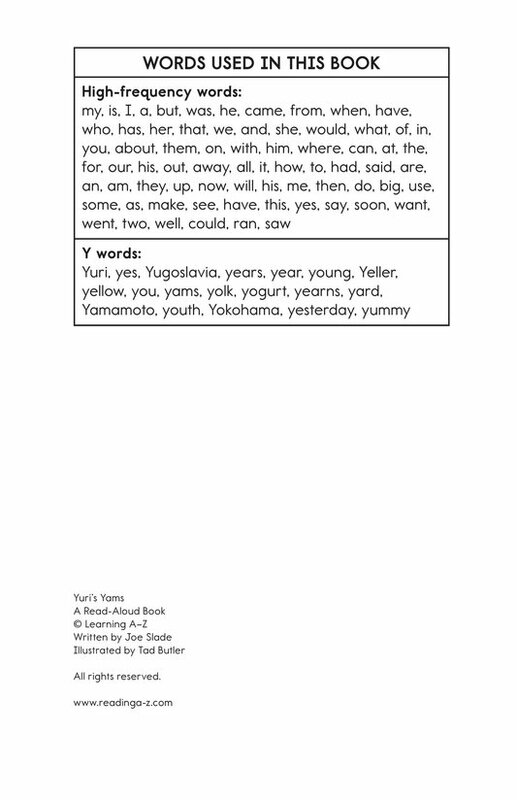 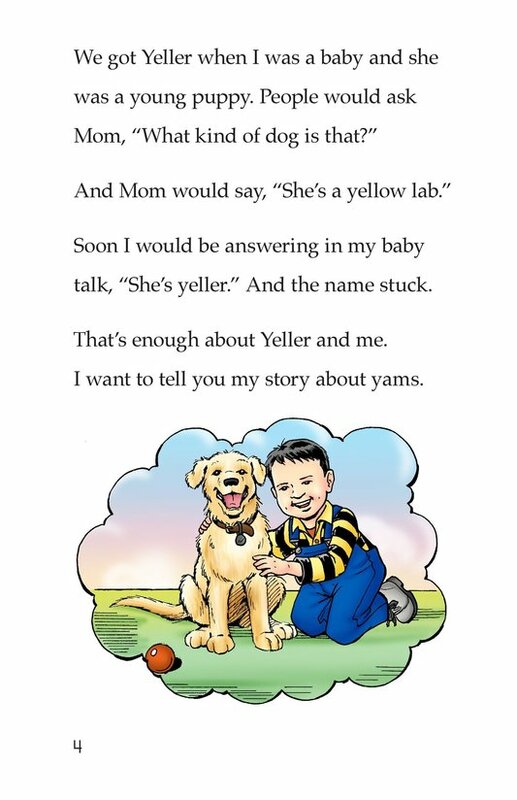 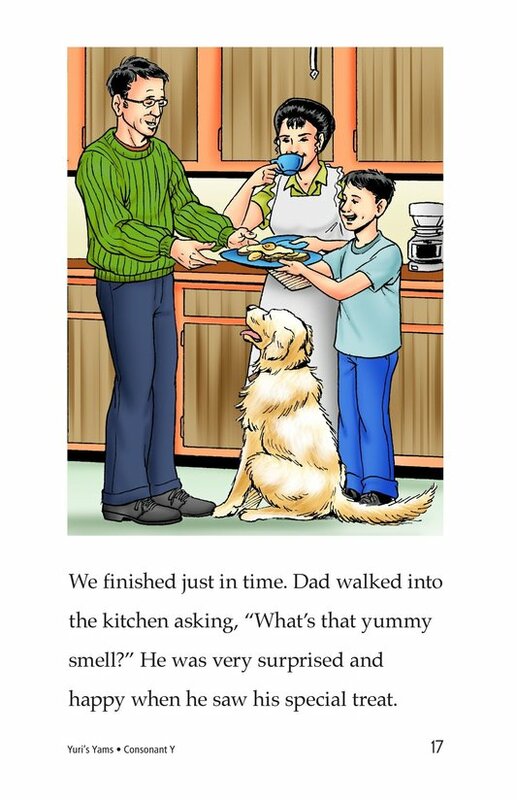 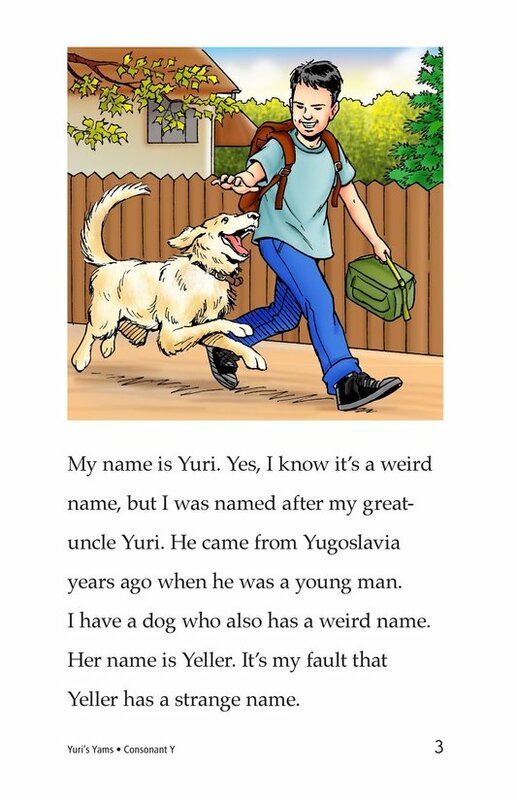 Introduce and expose students to the /y/ sound represented by the letter y.